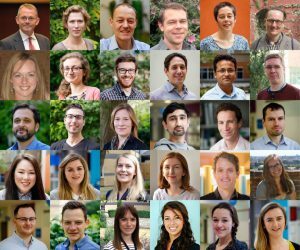 CEDAR research draws on the expertise of a range of scientific disciplines, including behavioural science, biostatistics, epidemiology, health economics, health geography, and nutrition research. Our research is supported by specialist expertise in data management, study coordination and communications. All our researchers and staff are listed below. For general enquiries, please see our Contact us page. Prof Simon Griffin – Professor Programme Leader, Prevention of Diabetes and Related Metabolic Disorders Programme & Professor of of General Practice Department of Public Health and Primary Care. MRC Epidemiology Unit Functional Group: The Functional Group within the MRC Epidemiology Unit contributes actively to CEDAR research. This includes studies that are led by CEDAR, studies led by others where CEDAR is contributing new data and also use of existing data sets. The Unit Functional Group comprises a number of teams of which anthropometry, data management, field epidemiology, IT, physical activity, statistics and study coordination are particularly involved in CEDAR research.